A former member of the Canadian Forces is suing the federal government, alleging the formula used to calculate long-term disability payments only takes into account a portion of what he was earning when he was medically discharged. 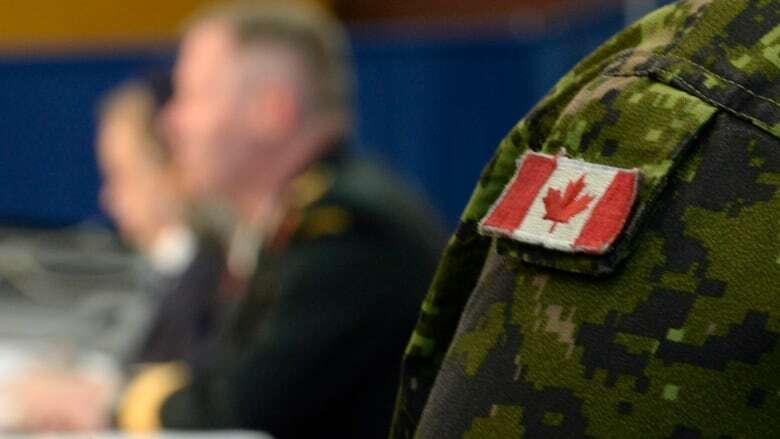 A lawyer for former warrant officer Simon Logan filed the notice of motion for the proposed class-action lawsuit in Federal Court in Halifax on July 26. Logan, who lives in Ontario, served in the army from 1998 until his release in February 2016. His lawsuit says he suffers from a "number of medical conditions" as a result of his military service and he receives a monthly payment for a disability benefit through the insurance plan of the Canadian Forces. The court documents offer no details of his injuries, and his lawyer wouldn't elaborate Thursday, saying Logan didn't want to disclose them publicly. Logan's statement of claim argues his disability payment should be calculated based on 75 per cent of his total monthly pay at the time of his release. It is now calculated based on 75 per cent of his warrant officer salary, which was $6,801 a month when he left the military. But that doesn't account for the other compensation he received on a monthly basis — including a $3,730 allowance. The court records don't detail why he received the allowance, but such payments are made to military personnel who serve in particularly demanding circumstances and operations. For instance, there are submarine, paratroop and rescue specialist allowances. "They are aimed at compensating members and their families for working in unique, demanding and potentially high-risk circumstances, which can often take members away from home for extended periods," the department said in a statement to CBC. The lawsuit states omitting that allowance resulted in Logan receiving $2,898 less a month in disability benefits. He is asking for arrears payments, damages for mental distress as a result of the payment discrepancy, general damages and costs. "We would say pay would include your salary and allowances," said lawyer Daniel Wallace, who is representing Logan. "I've always understood pay in what you're paid, and that's not what the government is doing for Simon or anyone else." The proposed class action applies to any former members of the military who receive long-term disability benefits and or dismemberment benefits. It names as defendants the Crown, the minister of national defence, the chief of defence staff and the Treasury Board. Wallace said it isn't yet clear how many veterans might be affected if the class action goes ahead. The allegations haven't been proven in court and the federal government has yet to file its defence. Allowances do not factor into former members' retirement benefits, the Department of National Defence said in a statement. Retirement benefits are calculated based on base pay and not allowances because that extra compensation is "strictly tied to duties that a member is currently performing or expected to resume within 180 days." The long-term disability benefits cited in the lawsuit are paid through the military's Service Income Security Insurance Plan, which DND said is paid for through contributions from government and service members. The department's statement said the insurance plan is equivalent to those for public servants and RCMP members. A certification hearing, where a judge will decide whether the class action should proceed, has been scheduled for April 29 and 30, 2019, in Halifax. Wallace was previously co-counsel in a 2013 $887-million settlement of a class-action lawsuit affecting about 7,500 disabled veterans. The case involved a three-decade-long federal government practice of clawing back the military pensions of injured soldiers by the amount of disability payments they received.